Stephanie is a girl of many interests; she loves drawing, listening to music, reading adventure genre books, is part of her school’s debate team and participates competitively in fencing. At last year’s Advanced Students Forum (ASF), Stephanie received her award for ‘5-years advanced’ in English. She is determined to complete the English Programme. Let us find out more about Stephanie and what keeps her going. Stephanie joined Kumon four years ago when her mother, Amilia, was recommended Kumon by her friends. She felt that having a strong foundation in language would require work on a daily basis and that the Kumon Method of Learning was very progressive and easy to follow through. Stephanie found her initial Kumon experience a fun one as she was able to make new friends, and also because her Kumon Instructor and the team at the centre were always friendly and helpful. Amilia shared that her daughter has a strong character and positive outlook. She is one who is determined to do well, especially for her favourite subject and/or teacher. In the initial months, Stephanie could not work on her worksheets for too long a time. Competitive fencing also took a lot of time from her as she trained 3-4 times a week. Both Stephanie and her mother credits her Kumon Instructor in helping her manage her workload. Stephanie’s Kumon Instructor encouraged and supported her in overcoming learning roadblocks and assigned the right amount and level of worksheets, which facilitated her progressive learning. Stephanie feels that going to Kumon classes helps her in her school work as she has developed a good foundation, as well as learned material beyond her school grade – which gives her an advantage. Her mother added that time management was one key factor in overcoming those initial challenges. So why do you want to complete the Kumon programme? There are times when Stephanie struggles to learn a new concept when she moves on to a new worksheet level. However, she realised that by completing the subject programme, it would help her in school work as she would be well ahead of the school syllabus. Stephanie continues to persevere to become a Kumon Completer, just like her brother who completed the Maths Programme two years ago. 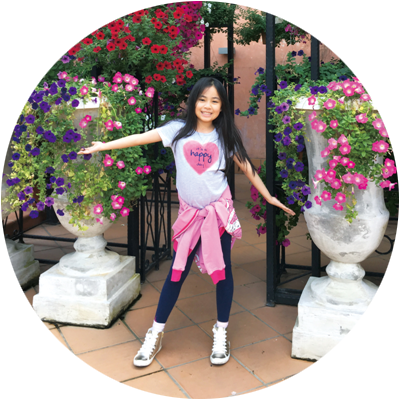 Besides her brother as a role model, Amilia shared that Stephanie’s Kumon Instructor was also a key motivating factor behind her desire to complete the Kumon English Programme. “She has always been very helpful, dedicated and patient,” Amilia elaborated. She has noticed that her daughter has progressed to become a more engaged learner. Stephanie has expressed a more positive attitude, and has developed essential life skills such as independence, discipline and responsibility. Piece of encouragement to fellow Kumon students? Completing a little bit of study each day is how Christian, 13 years old, can comfortably tackle university level maths. Christian, who completed the Kumon Maths Programme, gradually built his numbers acumen during his five years with Kumon. He started Kumon Maths in 2013 at Level 3A. “It’s been a long journey doing Kumon. Being able to know I’ve finally finished it, that’s satisfying”, Christian says. Christian and his 12-year-old brother Vincent, who is studying Level I in Kumon Maths and is an advanced student working three years above his school grade level, both have similar daily study habits, like allocating an hour a day to study during school holidays. Their mum, Ann, encouraged her sons to develop this habit early on. Ann is a working mum, and couldn’t spend as much time as she liked guiding Christian and Vincent through their studies. She says Kumon provided an efficient way of getting her boys up to speed with their maths. It’s also helped them develop their discipline. 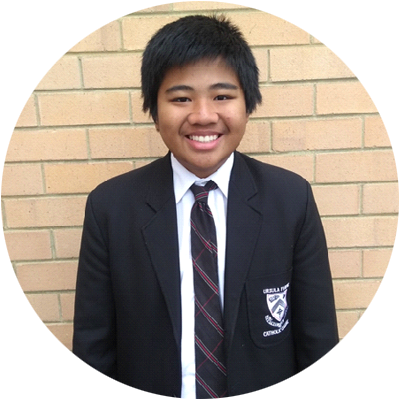 For Christian, the challenge was worth it and completing Kumon Maths was a valuable and enriching experience. “As I was challenging myself, learning new concepts, getting to know all the different types of maths, I found it interesting”, Christian says. At first glance, 8 year old Antara looks like any other student. But unlike many students of her age who are still learning multiplication and division in school, she is mastering factorisations in mathematics and summarising paragraphs in English. She is not only a topper in her school but also a gold medalist in National Science Talent Search Exam and Unified International English Olympiad. Antara’s parents enrolled her in Kumon when she was 5 year old. Every teacher who works with her is amazed with her logical reasoning and independent working method. She has no fear to participate in any activity like elocution, dance, and quiz. 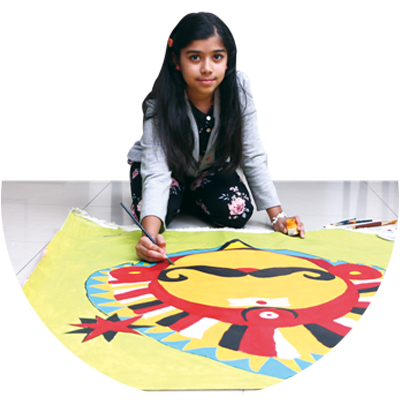 Her improved focus span and concentration has helped in creating master paintings. She participates in art shows and at such a young age is appreciated by the audience. For Antara, Kumon is an opportunity that has helped her excel in maths and English. Working on Kumon worksheets on her own has taught her to persevere and thrive on new challenges. She shared how Kumon guided her to gain self-confidence and most important, she learnt how to manage her time effectively. Being in Kumon, Antara feels she can understand the school syllabus better and faster than her peers. She has acquired the ability to analyse and solve maths problems faster and accurately. She is also an avid reader and selects books ahead of her age recommendation and enjoys the challenge of comprehending them. According to Antara’s mother, Kumon develops the solid foundation for students that help them not only academically but holistically. She believes cultivating good reading habit and acquiring fast mental calculation ability starts from a young age and Antara has developed great love for reading and enhanced her calculation ability since she joined Kumon 3 years back. She believes children should not be pressurised to excel but should be driven to face challenges. She knows that the objective of Kumon is to instill in students the skills and mindset for self-learning. As parents, it’s important to praise children’s specific efforts as well as their achievements. This will help children become self-motivated and independent self-learners.